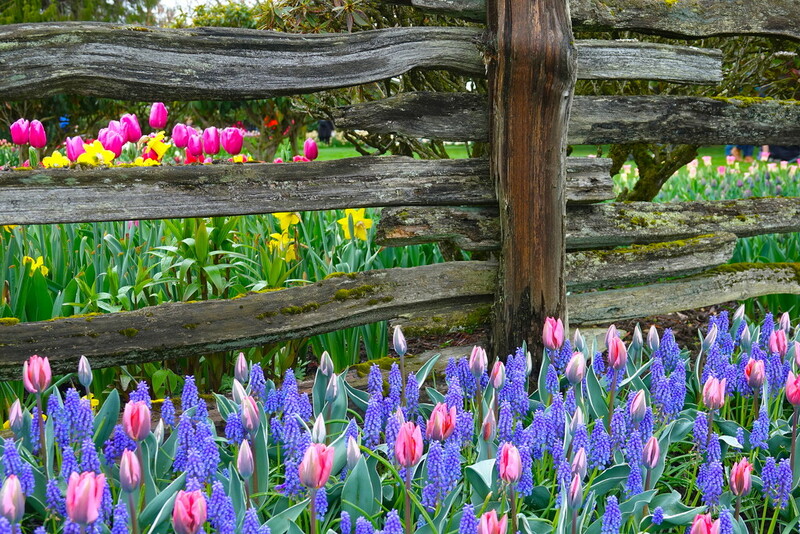 Purple Muscari bulbs and pink tulips along the split-rail fencing in Western Washington. Just noticed the time on the camera is off. This was an am shot. Thanks to all for your views and comments! Oh wow love the beautiful colours and flowers! Wow, this is so beautiful! Love the fence in between. Great composition. love it! so much details in the picture. especially the contrast of the old rustic fence and the beautiful soft colour of the flowers!